The Academy of Science Fiction, Fantasy and Horror Films has awarded the Netflix Original Series Marvel’s Daredevil the Saturn Award for Best New Media TV Series for its first season. Marvel Daredevil was created by Executive Producer Drew Goddard. Season 1 was Executive Produced by showrunner Steven S. DeKnight and Loeb. 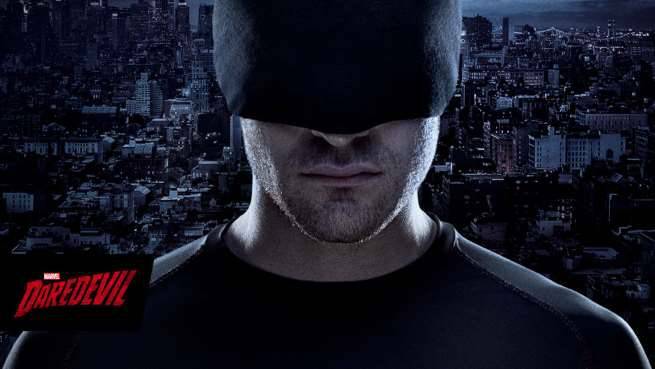 Blinded as a young boy but imbued with extraordinary senses, Matt Murdock (Charlie Cox) fights against injustice by day as a lawyer, and by night as the Super Hero “Daredevil” in modern day Hell's Kitchen, New York City. Marvel's Daredevil stars Charlie Cox, Deborah Ann Woll, Elden Henson, Jon Bernthal, Elodie Yung and Rosario Dawson. The show’s first season introduced Matt Murdock to the Marvel Cinematic Universe, pitting him against Wilson Fisk (Vincent D’Onofrio), the Kingpin of Crime, as he grew into his vigilante alter ego, Daredevil. The second season built on that foundation, introducing Frank Castle (Jon Bernthal), a.k.a. the Punisher, and Matt’s old flame, the assassin Elektra Natchios. Daredevil’s involvement with Elektra and their shared mentor, Stick, found them both entangled in a war between two shadowy organizations: the Hand and the Chaste. The Saturn Awards are dedicated to honoring the finest genre entertainment on film, television, and in home entertainment. Marvel's Daredevil is produced by Marvel Television in association with ABC Studios. Season 1 and 2 of Marvel’s Daredevil are available to stream on Netflix.